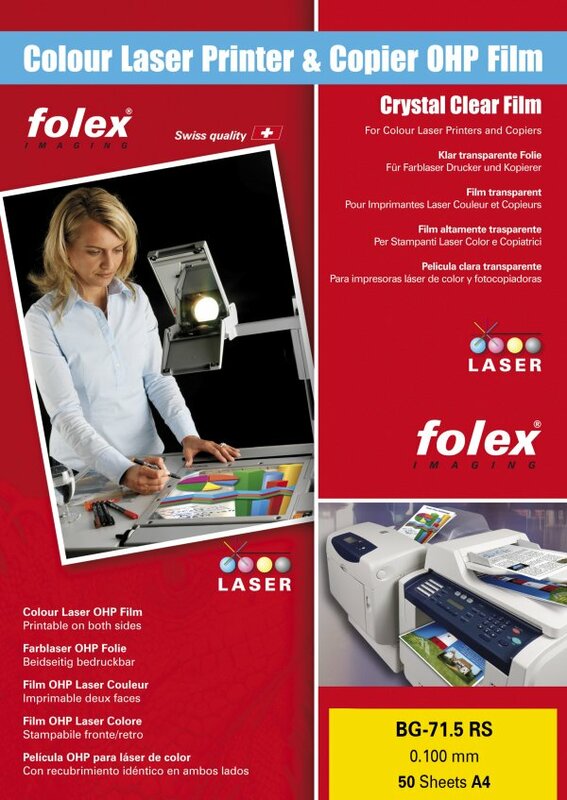 A crystal clear film, for Colour Laser Printers using low fusing temperature toners. Ideally suited for overhead projection transparencies or see through overlays. The film uses the same universal coating on both sides, eliminating any confusion when inserting sheets into the feed tray.